Here’s the second part of my TV Show Retrospective! I’ve received some questions on why I’m not reviewing shows like Homeland and Touch. Well, I’m simply not doing them, cause I haven’t seen them myself. I do need to catch up on them, but it would be a bit silly to cover them here, while I’ve never watched a single episode. What new shows have you been watching? Do you agree with my reviews? 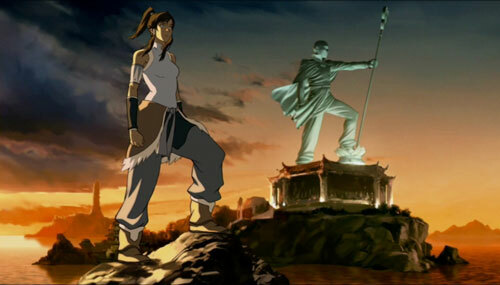 Plot: Set a 100 years after The Last Airbender, it revolves around the new Avatar Korra as she learns the art of airbending. The season finale of this aired just last weekend and: WOW! I love this show. The writers have done a great job doing it a bit different this time around. The characters are older (which allows for some more realistic scenarios and romantic subplots), the world is more awesome (it’s set in a sort of steampunk/early 1920s New York) and the story is again intriguing and compelling. You really get the feeling that the writers have figured out exactly where they are going, and not making it up as they go along. Instead of having other benders as the villains (like the did in The Last Airbender), now the bad guys are anti-bending… and it raises a lot of interesting questions and issues for you to think about. Plot: A detective from 2077 accidentally gets transported back to our time together with a group of terrorists. Yay, for a sci-fi show! It’s not the best sci-fi, but for a summer show it’s at least fulfilling part of my craving for a good ol’ SF plot. Rachel Nichols (last season of Alias, G.I. Joe) plays Kiera Cameron, a detective from a futuristic, well, future. As with Terra Nova, Continuum suffers from the face that the future world looks so much more interesting then our time; in 2077 the US government has collapsed and is now controlled by mega-corporations, with terrorists fighting for freedom against that corporate regime. Each episode though we do at least get to spend some time in the future with Kiera flashing back to events in her past, and it gives an interesting view of the future. The show opens with you briefly thinking that it’s the terrorists you should be rooting for, but you soon find out that Kiera is a detective working for the corporate government. It’s an interesting take on things, although I wouldn’t be surprised if there’s a twist sometime soon. I also like how the show deals with the time travel aspect, explaining the different scenarios (is this a separate timeline? Or is she influencing her own past?). Plot: A young woman returns to the Hamptons to take down the family that put her father in jail. This initially got promoted as “based on The Count of Monte Cristo”. I’ve never gotten around to reading that, but now I’m certainly curious to see how many elements they initially grabbed out of the book. Emily VanCamp is great as Emily/Amanda, making her likeable and relatable, yet also apprehensible in her need for vengeance. It’s a thin line to balance on, and with a worse actress this show could have quickly gone wrong. Just as fascinating is Madelaine Stowe as the Grayson’s family matriarch Victoria; you can just feel her contempt and cunning in every scene she’s in. The first few episodes felt quite “story-of-the-week” and stand-alone-ish, but as the show progressed it got less procedural and much more entwined and intriguing. I also love the clothes in this show! Both Emily and Victoria get to wear some awesome dresses (although Ashley’s dresses are more similar to my own style). Plot: A sitcom version of every Zooey Deschanel movie. 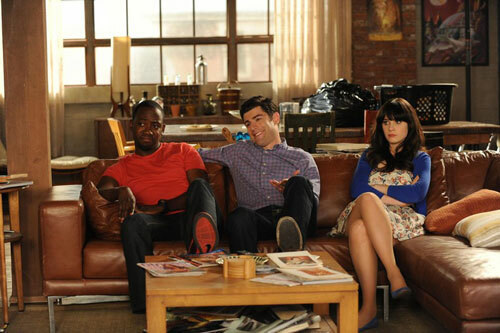 New Girl can be funny and cringe-worthy at the same time. Jess is such a quirky character, that sometimes you don’t know if you’re supposed to like her or be annoyed by her. I also occasionally recognize bits of myself in her… and cringe cause I can imagine myself doing similar things (I’m not sure how much that says about me). Plot: Uptown ex-rich dumb blonde and working class sarcastic brunette start a cupcake business. My rule with sitcoms is: if it makes me laugh at least once per episode, it’s worth watching. And 2 Broke Girls definitely achieves that. It’s not the smartest bit of television currently on air and some of the jokes are obvious and borderline offensive, but it’s still a lot of fun. 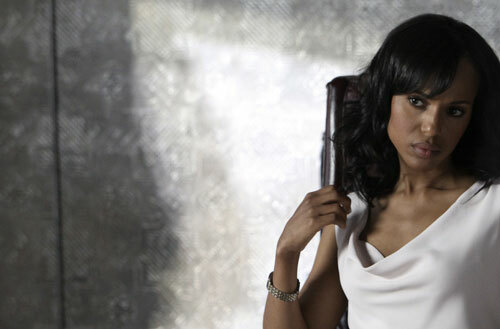 Plot: The creator of Grey’s Anatomy + a “fixer” in Washington, D.C.
Olivia Pope “fixes” things. Problems, scandals, her firm handles them and deals with the media until they go away or until people think differently about them. The first season is only 7 episodes (a trial run to see how it got received), but has now already been renewed for a full season. I’m amazed how much they got to fit in just 7 episodes! By episode 6 you’re already invested in Olivia’s character and her relationships with certain people. By focusing so much on Olivia though, the other characters at her firm get kind of sidelined; this show feels as if it should be an ensemble show and it has characters that look interesting enough, but so far I don’t think we’ve seen enough of them yet. The glimpses that we have seen though are very intriguing and I’m hoping we’ll see more of them next season (judging by the season finale though, I think we will).